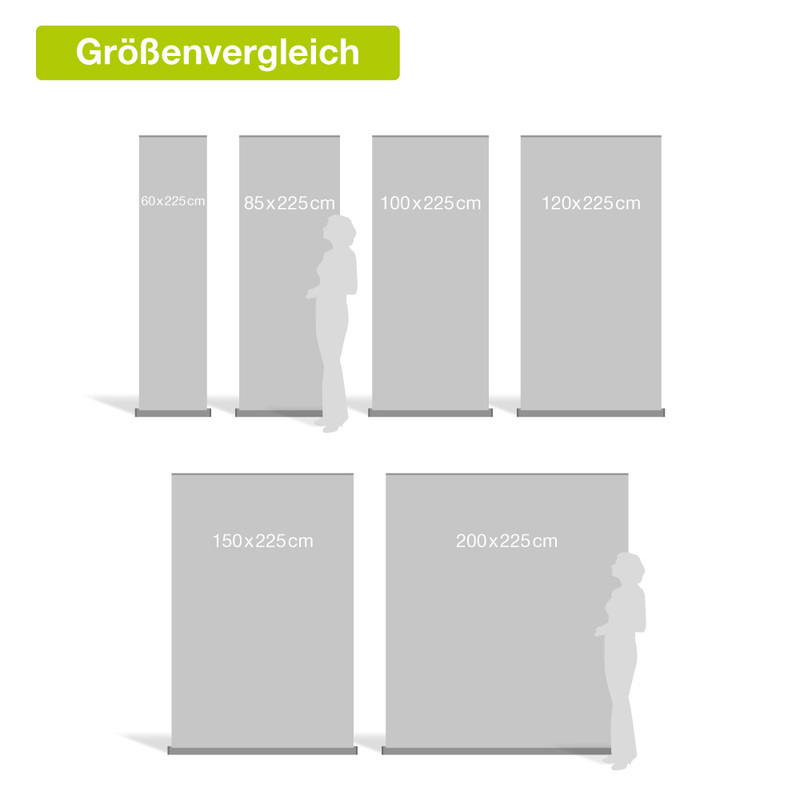 The RollUp "Expo" has a maximum height of 225cm for the visible printed motif and is available in different widths from 53cm to 200cm. 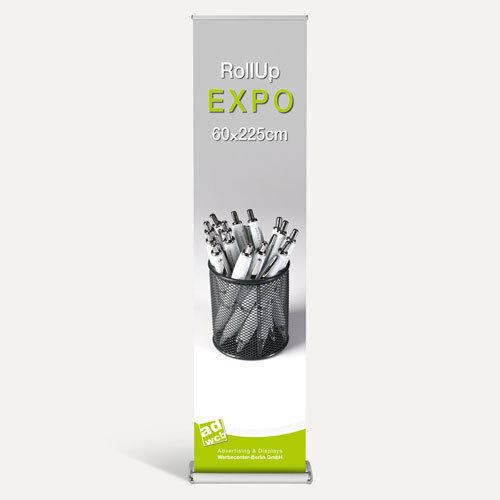 The banner display has a folding bar with an included telescopic part. The system cassette is made of silver anodised aluminum and is robust and stable, also without any foot. The according to your file printed material is fixed at the top at a clamping bar. The retractable banner stand will be shipped in a black padded carrying bag for a safe and compact transport. The set up is also possible for inexperienced users within a short time without further tools. The rollup is delivered ready assembled. A neutral instruction manual is included in the RollUp and our data sheet. Please always store and transport your RollUp "Expo" in the carrying bag and cardboard box to prevent bumps and scratches. Set up your Bannerdisplay regularly, approximately every 3 months for a few hours. If the material is rolled too long, it will curl backwards at the sides. If it is built up sometimes it will keep smooth. The cassette is made of anodized aluminum with silver caps on the sides.